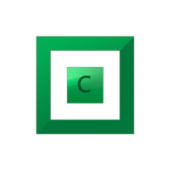 Christopher (Drashna) - Covecube Inc.
Christopher (Drashna) had the most liked content! Stablebit Scanner loses all settings on unexpected shutdowns. Well, a number of others were having this as well, and I've posted this info in a number of those threads, so hopefully, confirmation will come soon. For whatever reason, it seems that the Google Drives are the ones having the most issues with this. Try: Take the drive offline in disk management Turn off all pinning in the CloudDrive UI Clear the local cache, and wait until it's down to 0 bytes (literally empty) Bring the cloud drive back online from disk management You may need to run step #3 multiple times to get it down to 0 bytes. If that doesn't help, then run "chkdsk /f" on the drive in question, as that may repair the file system. If that doesn't, then could you run rstudio and send us the logs for the drive in question? Measuring the entire pool at every boot? Did you open a ticket already? And are these drives USB drives? Until the cache hits 0 bytes used. If needed, disable pinning. There is an issue here, though. With Google Drive, there is a hard limit on the number of times a file can be accessed. That's why Google Drive is limited to 20MB. So, if we allow a larger size, we would have to enforce a minimum download size proportional to the chunk size. If you have a backup of the server, you should be able to get the data from "C:\Program Data\StableBitScanner". Also, if you are so inclined, the beta version does have a backup/restore option. No, it shouldn't. It uses a file system filter to encrypt and decrypt the data, so it should be invisible to StableBit DrivePool. We've had a few people use it, in the past. Nope. TrueCrypt and it's forks bypass the normal disk system, so StableBit DrivePool doesn't see the drives. Period. As for BitLocker, you don't need hardware support for it. However, it does make it a bit more of a PITA to use without a TPM module. https://www.howtogeek.com/howto/6229/how-to-use-bitlocker-on-drives-without-tpm/ But there is a good As for not trusting it, is there a specific reason for it? That said, I personally use BitLocker on my desktop system. But if you don't want to use it, then I would recommend DiskCryptor then. It's free, and open source, as well.